PDF Portfolio support added to JPedal, so what are they? 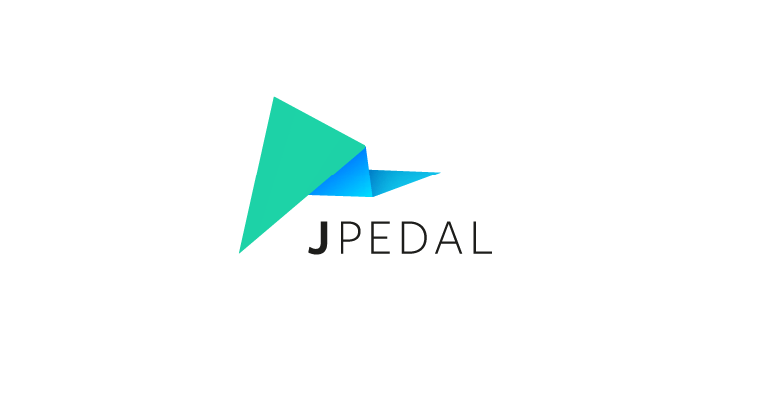 After much hard work we are proud to announce that we have added PDF Portfolio support to JPedal. You may not have heard of PDF Portfolios despite them being in the specification since version 1.7. So let me explain what a PDF Portfolio file is. A PDF Portfolio is a PDF that acts as a wrapper around a collection of other files. These files can be any type of file that you wish to add. PDF Portfolios can contain files not supported by the same viewer therefore it is not uncommon for the viewer to open the file using your systems default for the given file type. As well as a collection of files the PDF Portfolio also contains information describing how the files can be viewed. These include a table view, a tile view and the option of adding your own SWF file to act as a display for you. JPedal’s Viewer can now handle PDF Portfolio files. When opening a portfolio file a display will be presented in tile view or detail view based on the display view set in the file. If you wish to view the portfolio in a different view mode this can be done using the portfolio menu in the View menu bar item. 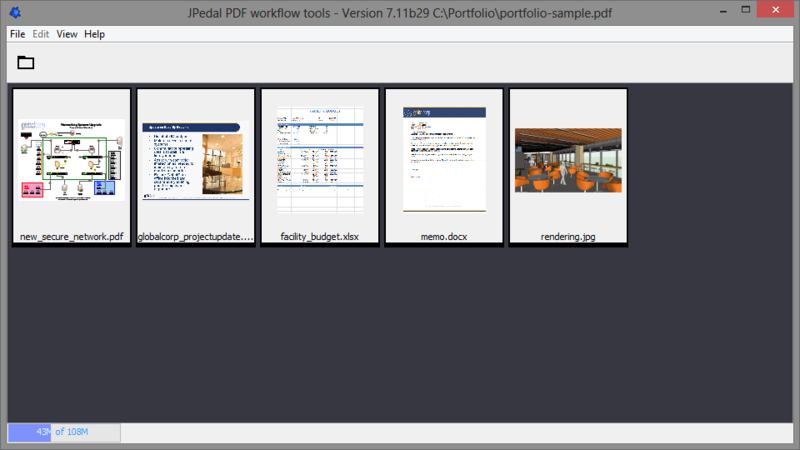 The Tile View shows the files contained within the PDF Portfolio as a series of tiles in the viewer. Each tile contains a thumbnail of the file and the file name. From here a double click on a tile will open the file in the viewer or native viewer depending on the file type. Right clicking on the tile displays a menu with the open and save options to save the file externally. 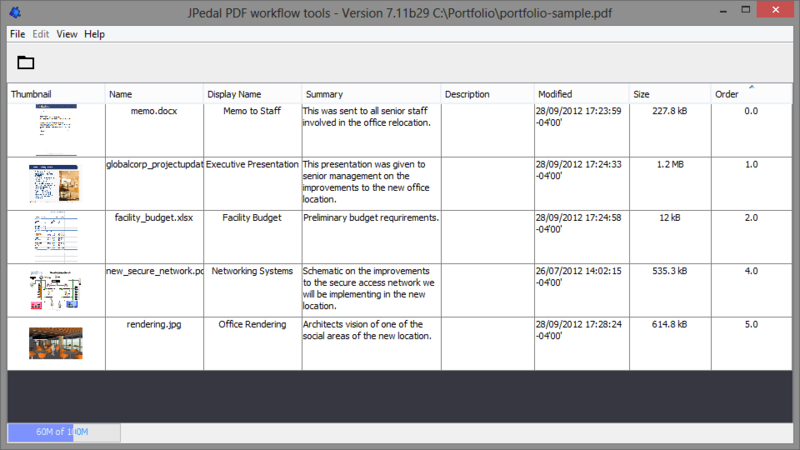 The Detail View shows the files contained within the PDF Portfolio as rows in a table. Each row has a number of columns which are specified within the PDF Portfolio file. Tile View has some features in common with the Tile View. Therefore you can double click a row to open the file and right clicking the row displays the menu to open or save the file. In addition, the Detail View allows you to show and hide different columns. Right clicking on the column headers will present you with a list of check boxes to toggle their visibility. More information about the portfolio features can be found here.